Marcus’ passion for motorcycles started from a very young age. He began his journey going straight from college where he studied and trained professionally, qualifying as a mechanical and electrical engineer to the Ducati main dealer network. There over the next five years, he honed his skills with experience and factory training in Bologna. Marcus formed Rosso Corse in 2005. Marcus is a perfectionist at heart and takes pride in providing exceptional client service. Marcus takes great responsibility for the care and attention to each and every part of his clients motorcycle. As a father of three young boys, when undertaking a client request, Marcus’ feels entrusted with far more than just a machine as he says: “ a Ducati is not only a beautiful thing, its performance and safety are always my priority”. 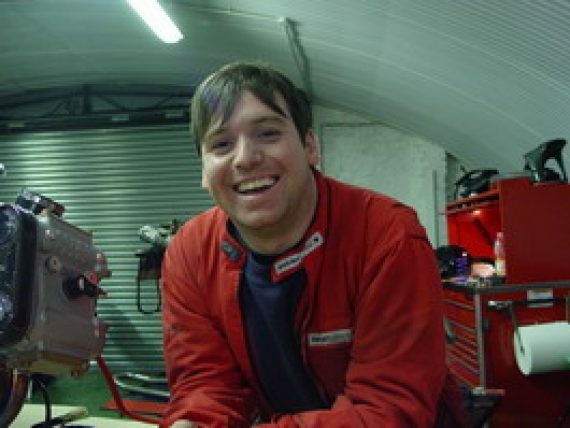 Marcus prides himself in the Rosso Corse culture, he welcomes customers to interact with the person working on their motorcycle and relax in the company of fellow enthusiasts. Marcus wishes for all clients to feel at ease picking the brains of the specialists…whilst enjoying an expresso or two. Marcus says “it’s great when clients just pop in to say hello and catch up for no particular reason, that’s when your customers become your friends. Over the last 11 years Rosso Corse has become more and more like a community”. With our experience and expertise we will ensure that owning a Ducati is everything you hoped it would be!